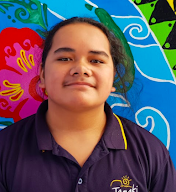 Hi, My name is Timeus and today I am going to be talking about my reflection about national disaster, My topic that I chose for the national disaster is Earthquakes. An earthquake is shaking of when the surface stars to shake because the ground of it starts to split like a crack between the roads and it expands a big hole inside the surface. There is no clue into how the earthquakes occur, but however earthquakes usually happen when parts of the ground also known as 'plates' are seperated usually at the edge of the world like say if you are in the water and you see something like a crack that you can see through your eyes, when that happens, the ground above yourself will start to shake and that's how the earthquake occur because the rock underground is split/break which makes it a fault. I think that an 'Earthquake' is a National Disaster because people get affected by that type of the Disaster which they might think that their families will be in danger as well as the other family that they live across.